Arrived safely in New York via LA and we are now waiting for a flight to Halifax, Nova Scotia to visit Steph and James. The flight over was amazing. Those A380s are a real experience and premium economy is quite comfy, thank you very much. 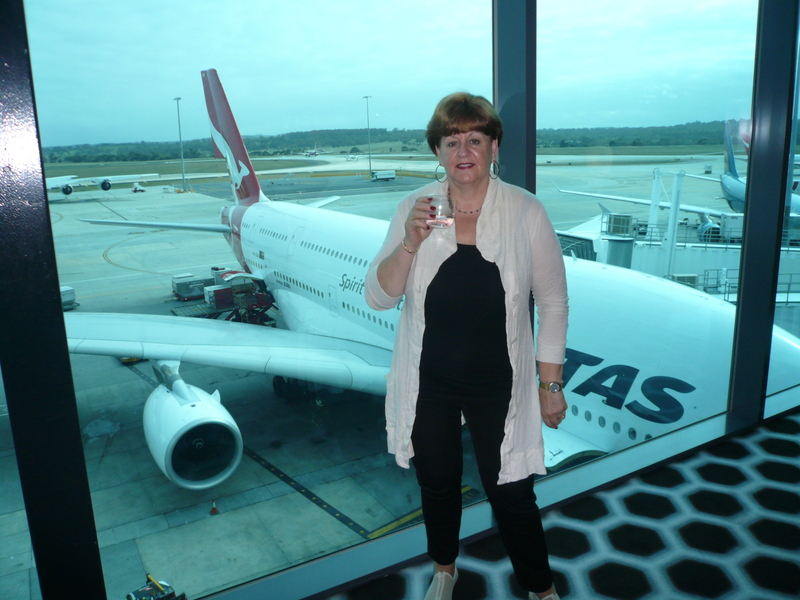 A toast (water) to the A380. 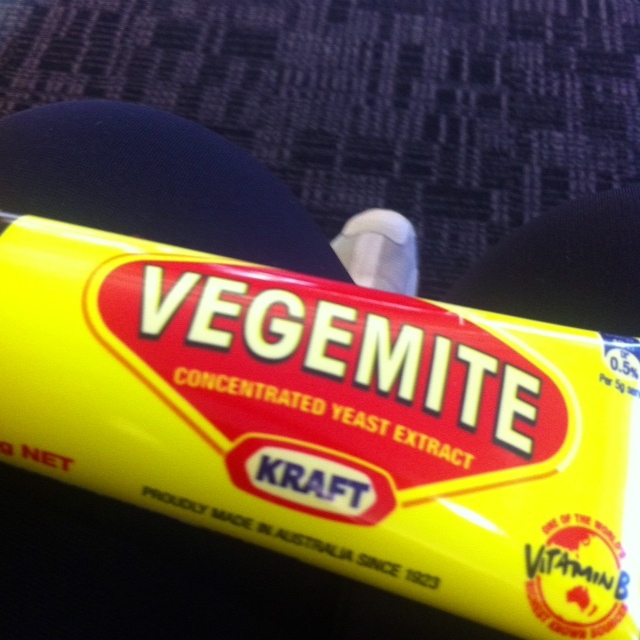 Only major issue coming into the country was my tube of vegemite bought in Australia at the last minute and of course, still in my hand luggage. The security guy didn’t know what it was and threatened to confiscate it. Guess it was my (Ingrid’s) look of devastation that stopped it from happening. See, some of these security types do have a heart. Other bit of gossip is that on the flight to NY we sat alongside Cathy Freeman and her hubby, James and her beautiful daughter, 10-month-old Ruby. Cathy is running the New York marathon next week. What an amazing athlete after giving birth too. Hope she does well. We stayed at an airport hotel overnight (Sheraton La Guardia) because of our flight this morning. Quite an experience while we were there as we witnessed perhaps one of the first of a deluge of gay weddings happening here now since May this year. Eight states, including New York, have approved gay marriage laws. Two quite beautiful black women were having their wedding celebration in the hotel with family and friends. All power to them. So now just waiting for our Halifax connection but thanks Delta for letting us know that our 9am flight was re-scheduled. What do you do when you are waiting in airports? Get into the digital world of course. 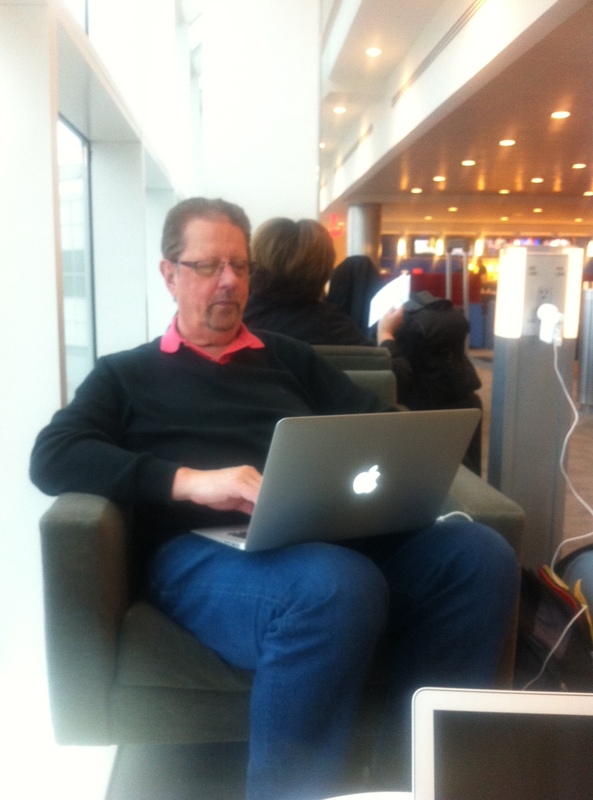 Thank goodness for airport lounges and free internet.